The ratings in this test were all proviced by over 11,000 readers who filled out MCN's Biking Britain survey. Each week in MCN we bring you the latest results from our survey, building into the most comprehensive review of the kit that thousands of us wear. If you want to be a part of motorcycling history, visit the Biking Britain site and complete the online questionnaire. The whole thing takes 15 minutes and you'll be helping to create the biggest survey of riders the world has ever seen - and change biking in the UK forever. Colours: Three multi-coloured options - Graphire (pictured), Grifo and Rise. We say: Take what you want from SHARP's findings, but you can't argue with a four-star rating on a 60 quid lid. The cartoon design 'Graphite' is seriously cool, too. Same removeable, washable innards as the Leox. Colours: Two plain colours (black and silver) plus blue, red or black 'Wired' design. 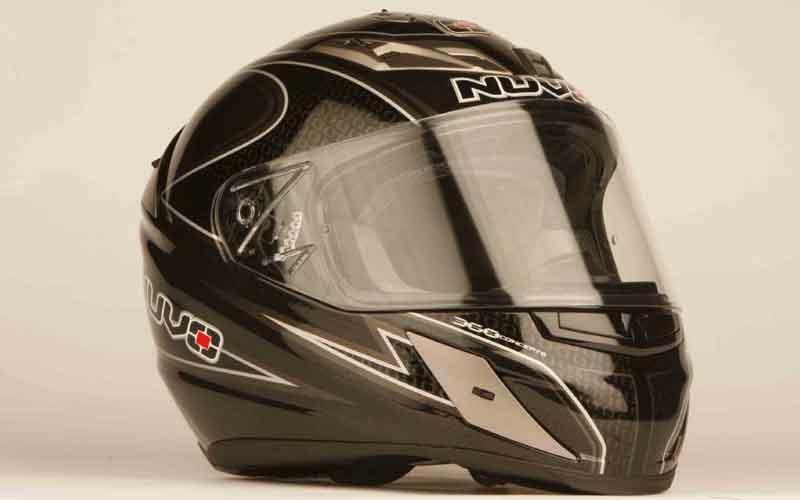 We say: A cracking SHARP rating considering the price, this budget helmet is fairly basic in construction, with two air vents and a quick-release visor system. It's ACU-approved, too. Colours: Plain matt black or red, black or blue multi-coloured options. 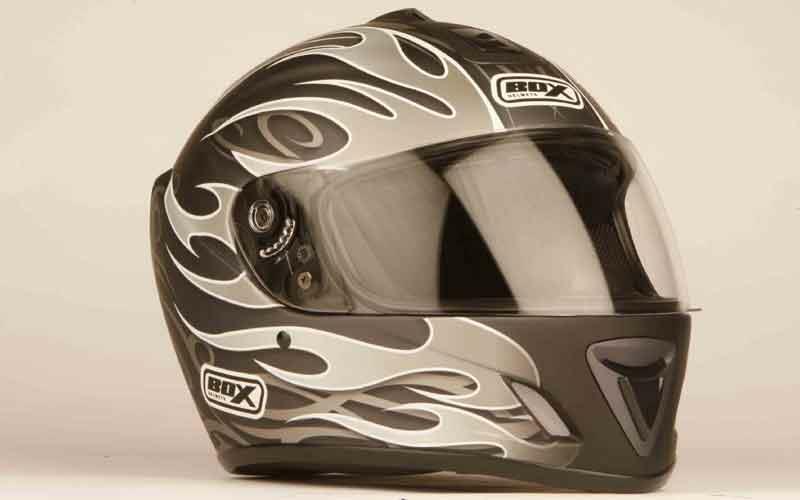 We say: This replacement model for the old BX-4 shares the outgoing helmet's six-point ventilation system, removeable and washable lining and cheek pads, quick-release visor and quick-release buckle closure. Colours: Three plain colours (blue, burgundy and black) plus four multi-coloured options. We say: Bristling with venting, and featuring an anti-scratch visor plus a removeable and washable liner, this ACU-approved helmet proves that highly rated lids don't have to cost silly money. Colours: Two plains (black or silver), plus pink, blue, red or black ‘Session’ and black, blue, pink or red ‘Cyclone’ multi-coloured options. We say: Last year’s CS-12 only scored two stars in the SHARP ratings. This version fares better, and still only costs around £70 (depending on the colourscheme). There’s a quick-release visor, removeable chin guard and breath deflector, and six-point ventilation system. 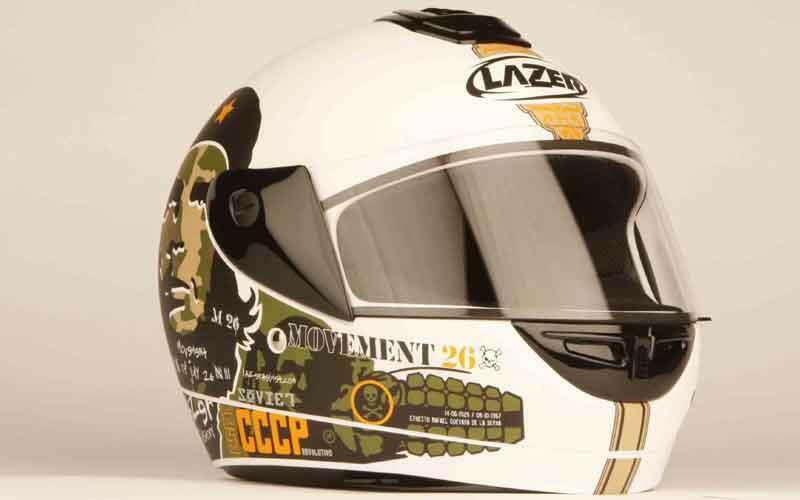 Colours: Two plains (silver and black), plus five multi-coloured options (including this M26 Che Guevera special). We say: One of the chosen few helmets to receive a five-star rating, its SHARP score suggest the LZ6 represents very good protection for the money. 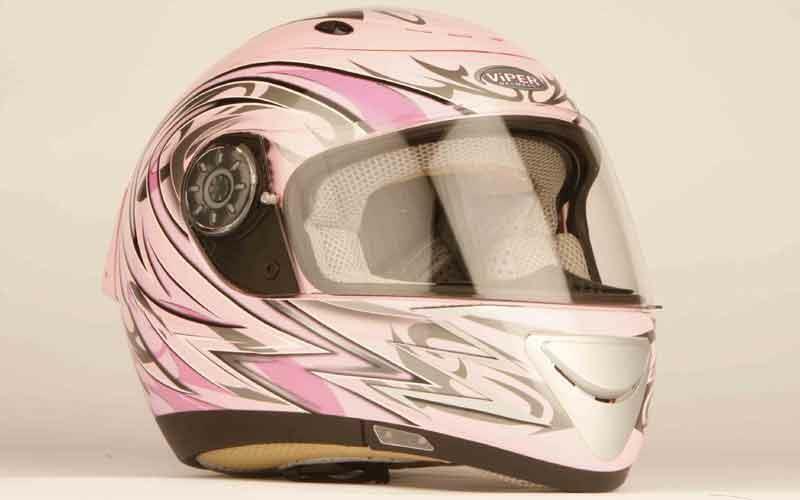 There are two vents (chin and crown), a scratch-resistant visor and buckle closure. Colours: Black, red and white multi-coloured designs. We say: Shares its SHARP rating with the firm’s considerably more pricey RS1 Carbon. 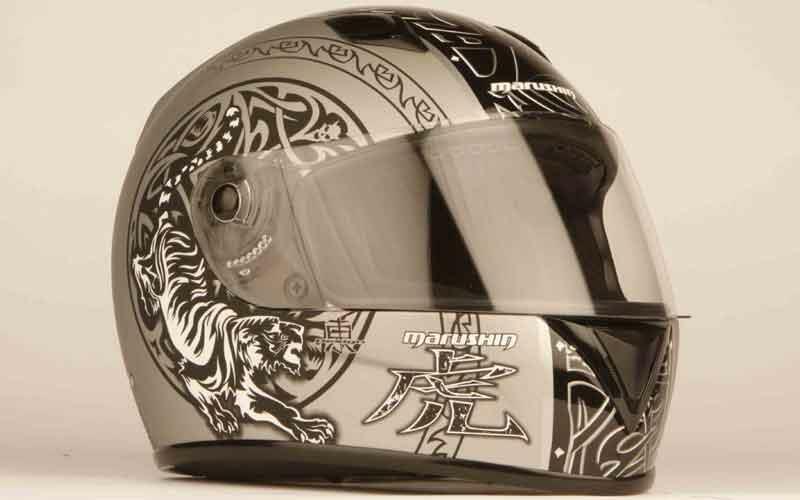 The sub-£100 Tiger offers the RS1’s same removable and washable anti-allergy lining, visor and visor release system. Closure is by way of seatbelt-style buckle, though. 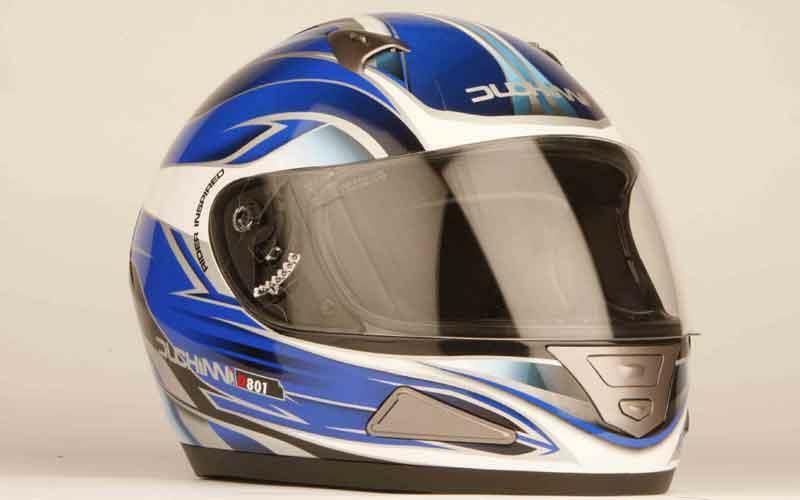 Colours: Several multi-coloured options, including the black/silver/blue lid pictured here. We say: Never mind what we say – our readers have already spoken. 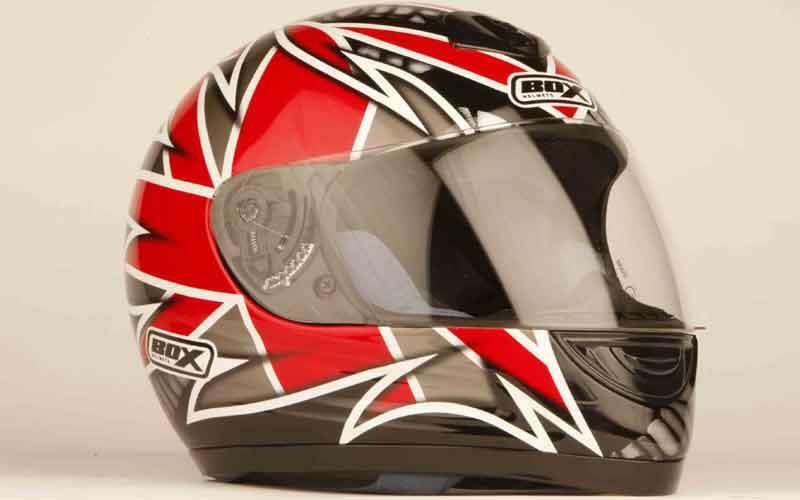 Of the 11,000-plus readers who have completed the MCN Biking Britain survey, this helmet has been voted the best value for money. Simple crown and chin vents feature, and it’s also approved for track use. Well worth a look. Colours: Five plain (gloss black, matt black, blue, white, graphite) plus 43 mutlis (including the Brigade). We say: There are four different shell sizes and the chin bar is designed to withstand big impacts. 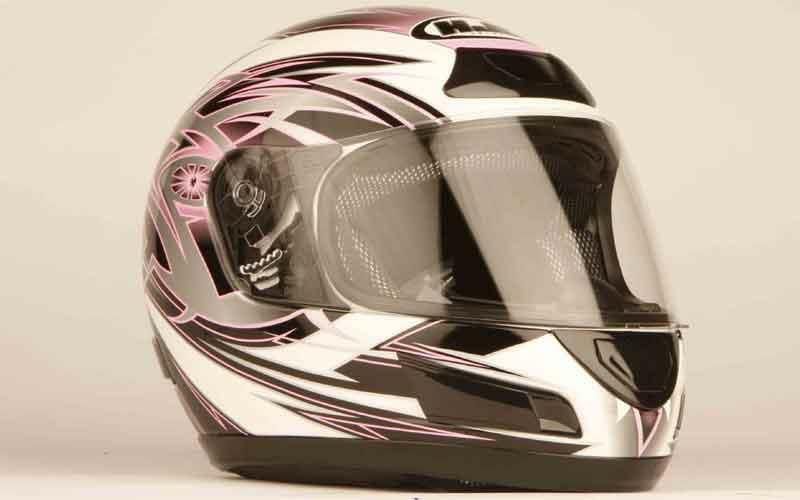 The liner is fully removable and washable, while the shell is double-laquered for a clean finish and the visor is ant-scratch and anti-fog coated. Colours: Four multi-coloured options (including pink/black pictured). 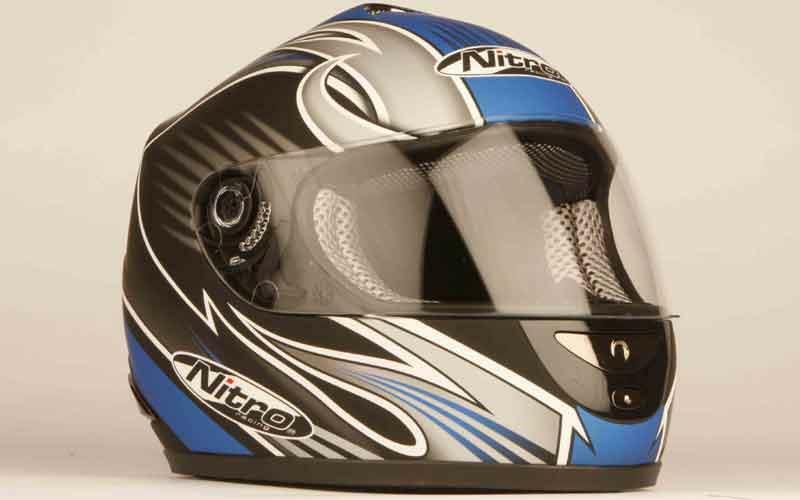 We say: Has an integrated sun-shade visor, a ratchet-style chinstrap fastening system and an anti-scratch visor. 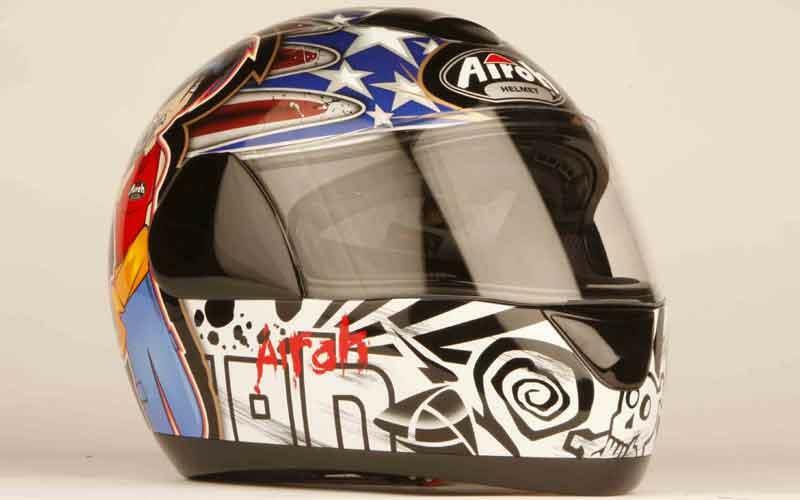 Has vents at the chin and crown, the liner is removable and washable and the helmet has received an ACU Gold stamp for approval for track use.